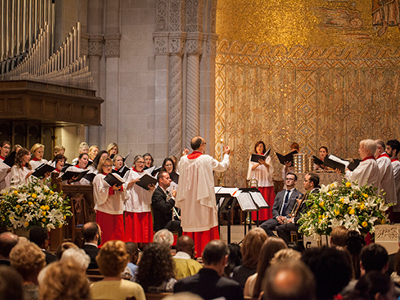 The Shadyside Chancel Choir is a semi-professional choral ensemble that sings for the weekly 11 a.m. service of worship. Weekly rehearsals are held on Thursday evenings at 7:30 p.m. The Chancel Choir is open to singers by audition. Please contact Mr. Anderson for more information. The Shadyside Brass plays for services of worship on special Sundays and holidays. If you are a brass player with significant orchestral playing experience, please contact Mr. Anderson for more information.